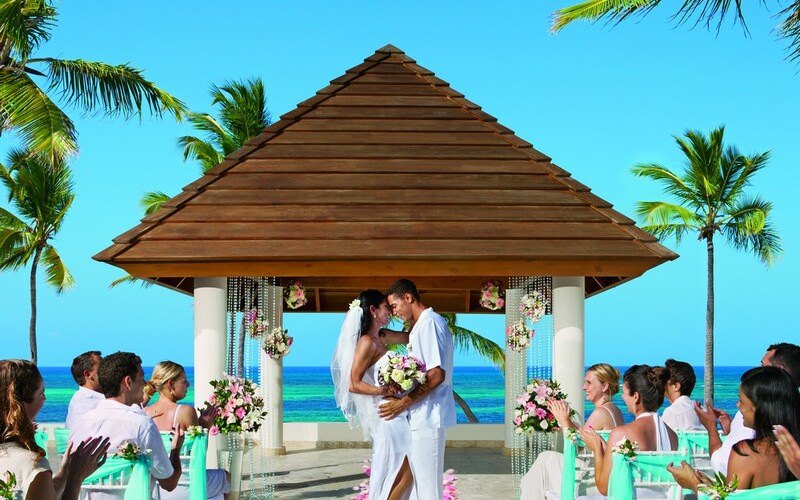 AMResorts is Total Advantage Travel's preferred resort chain for flawless Destination Weddings and Honeymoons. AMResorts is a leader in the Romance Travel industry. AMResorts is a collection of luxury resort destinations, each with its own unique personality. Raising all-inclusive to a New Level of Luxury®, every one of AMResorts’s properties feature Endless Privileges®, Unlimited-Luxury® or Unlimited-Fun®, that offers sun-soaked beaches, elegant accommodations, a world-class spa, gourmet dining, unlimited premium drinks, and many other pampering amenities. 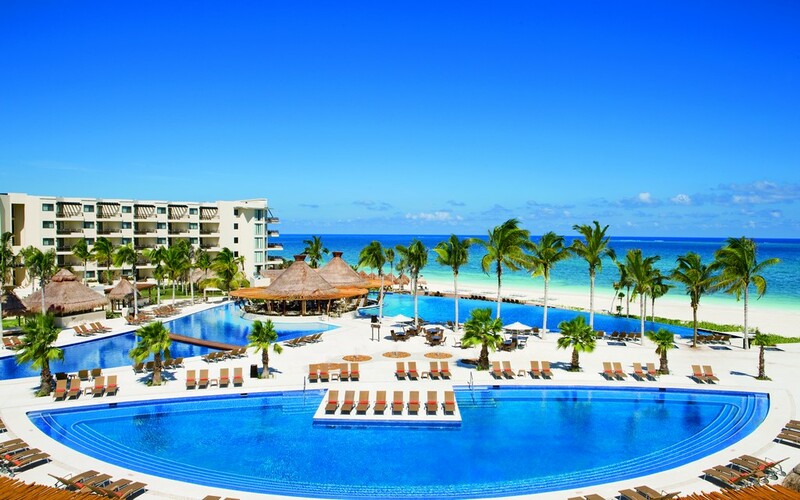 AMResorts offers six different resort brands, to fit any lifestyle and budget. Zoëtry Wellness & Spa Resorts – luxury, concierge-level accommodations. 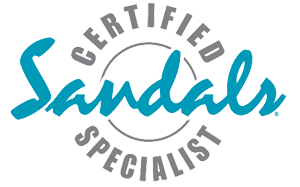 Secrets Resorts & Spas – adults-only, the pinnacle of romance travel. Breathless Resorts & Spas – a fun, exciting vacation experience, equal parts partying and relaxation. 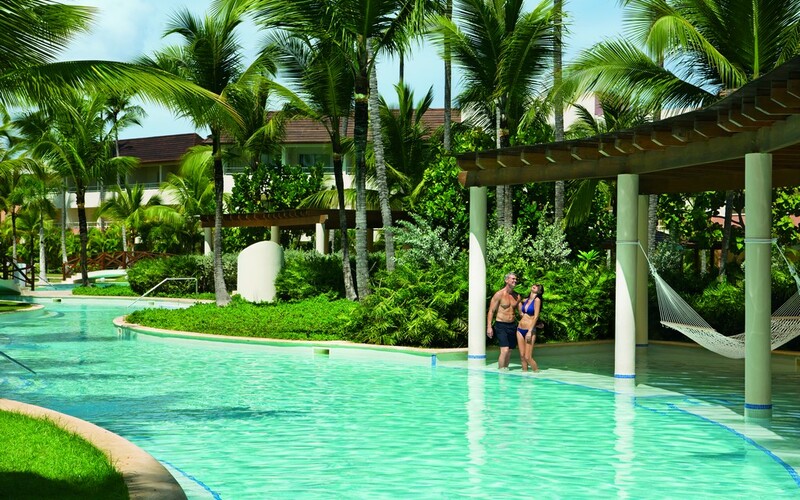 Dreams Resorts & Spas – for couples and families - fun, sun and pampering for all ages, with lots of kids programs. Now Resorts & Spas – for multi-generational families, with something for everyone. 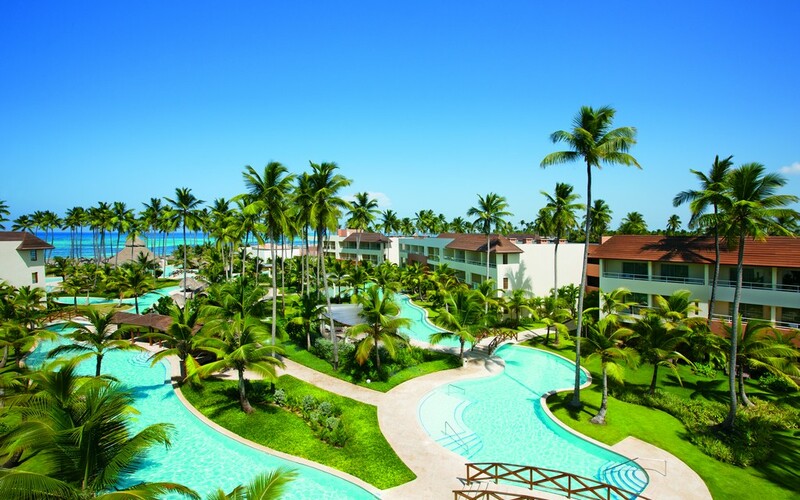 Sunscape Resorts & Spas – an incredible all-inclusive family vacation at an accessible price. 1. Elegant Accommodations - Retreat to your well-appointed room or suite with your own furnished terrace or balcony. 2. World-Class Spas - Experience pure indulgence through the latest hydrotherapy and indigenous treatments. 3. Gourmet Dining - Dine out at AMResorts’s diverse array of international a la carte restaurants or stay in and enjoy 24-hour room service. 4. Unlimited Premium Drinks - Enjoy fine wines, beers and other beverages in any of AMResorts’s bars, lounges or restaurants. 5. Preferred Club Privileges - Experience an even higher level of luxury with an upgraded suite and other enhanced amenities. 6. 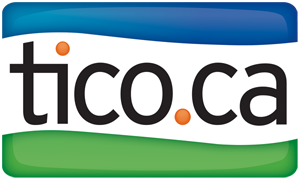 Activities & Entertainment - Fill your days with water sports, excursions, golf, yoga, swimming, concerts and dancing. Or doing nothing at all. chapter of your life together in paradise. 9. Meetings & Events - Find the perfect balance between work and play with AMResorts’s executive meeting facilities. 10. Award-Winning Resorts - Choose a resort that’s received some of the most prestigious travel awards in the world. Begin your new life together or write the next chapter in a storybook tropical setting. Each of AMResorts’s romantic wedding, honeymoon and anniversary packages is thoughtfully designed to make the most of your special time together. Choose from romantic wedding packages, each featuring free anniversary nights. Then let AMResorts’s on-site wedding coordinators handle all the details so you can focus on one another. Consult your Total Advantage Destination Wedding Specialist for more details. AM Resorts offers the perfect destination for your Honeymoon. 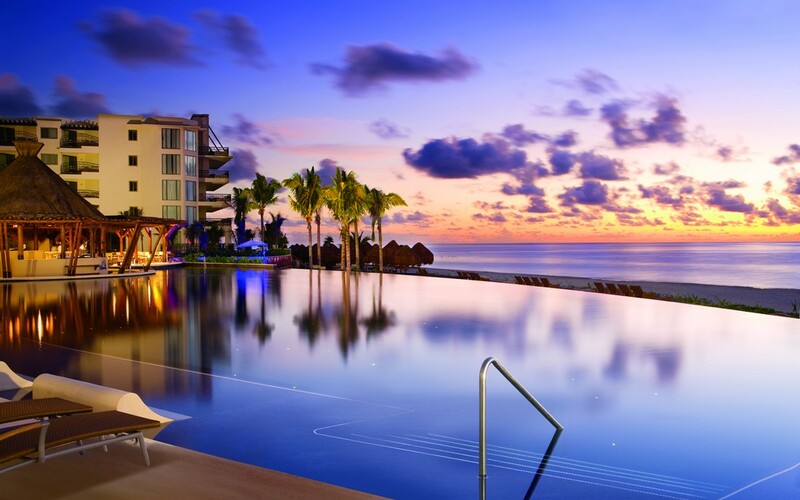 Couples looking for a luxurious getaway can stay at the 5-Star, Adults Only Luxury AM Resorts. All AM Resorts offer romantic, intimate accommodations, with gourmet cuisine and beverages, easy access to picturesque beaches, a network of relaxing swimming pools, and exciting, engaging entertainment. Unpacking and pressing service for the couple on arrival. Specialty spa basket in the room on arrival. Sunrise breakfast in bed or on the terrace of their room. Nightly “lavish chocolate” turn down service. 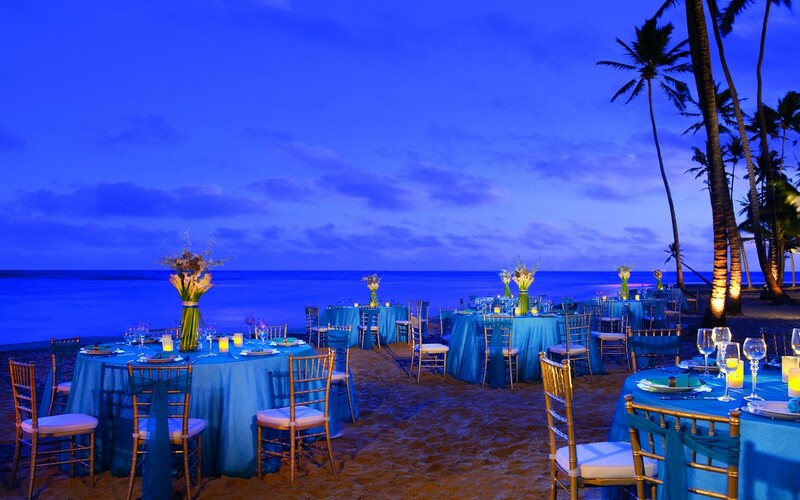 Romantic surprise dinner on the beach for the couple with live music. Special turndown service one evening with rose petals, scented oil bubble bath and the couple’s favourite drink. 10% discount on all Spa treatments (product purchases not included) for the couple throughout their stay. Complimentary anniversary night (1 complimentary night with a 4 night minimum return stay over their first anniversary). Sparkling wine, fresh flowers and fruit in room upon arrival. Romantic breakfast in bed with mimosas (reservation with concierge required. 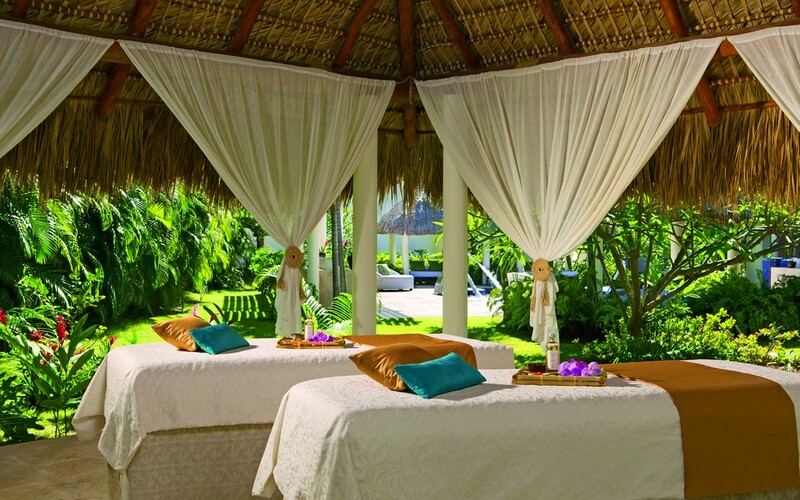 Tension Release Massage for two in AMResorts’s couple’s massage suite (25 minutes). Choice of either a European Facial or a Salt Glow Scrub body treatment for two (25 minutes). Private beachfront dinner one evening — with romantic turndown service upon return to room Private petit fours each evening at turn down service. Earn free nights towards a first anniversary return stay Receive either package complimentary when staying 7 nights in the required room category. Sparkling wine, flowers and fresh fruit in room on arrival. Breakfast in bed with Mimosas (reservations required in advance via guest service). Couples massage treatment (50 minutes). Complimentary access to the Spa’s wet areas (one day of stay). 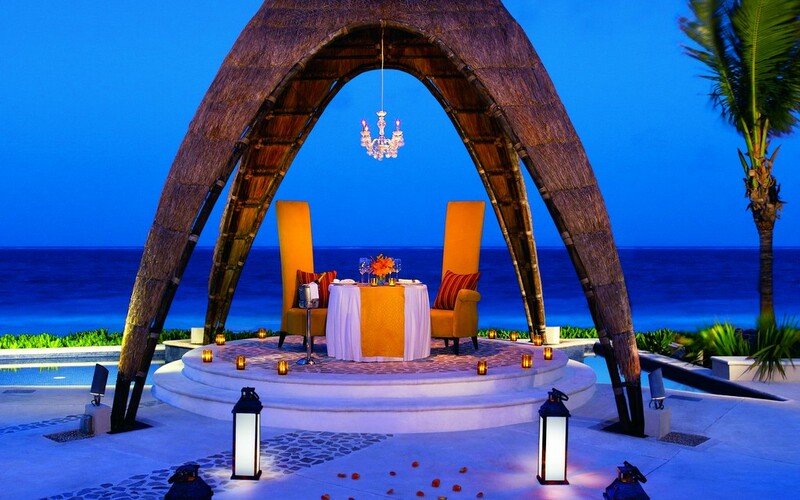 Romantic beachfront dinner for two including bottle of wine. Seductive turndown service one evening during stay. Fresh fruit and sparkling wine in room upon arrival. Romantic breakfast in bed with Mimosas. 15% discount on spa treatment (boutique products not included). Fresh flowers, fruit and sparkling wine in room upon arrival. Romantic breakfast in bed one morning with Mimosas (reservation with concierge is required). Choice of facial or body scrub for two (25 minutes). Private beachfront dinner one evening. Special turn down service with petit fours. Consult your Total Advantage Honeymoon Specialist for more details.